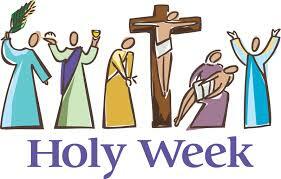 Holy Week is such a precious week for us as Christians. The Lent Event helps families get ready for those Three Great Days. It is an activity for the whole family – parents, grandparents, and children. It starts with a lunch after the 11:00 a.m. Mass. Afterwards, we listen to the story of the Passion, Death and Resurrection of Christ which is at the heart of Holy Week. We all then go into the basement where we have hands-on activities for children, teens, and adults to help prepare us for Holy Thursday, Good Friday, and Easter. We hope you will join us for this time of fellowship and faith formation! Please share the invitation with family and friends.